American Apparel fans everywhere can rejoice at the recent announcement that it will finally be returning. After a never-ending streak of controversies – overtly sexual ad campaigns, filing for bankruptcy and the firing of founder Dov Charney – the company closed all of its stores at the end of last year. After being bought by Canadian sportswear company Gildan Activewear earlier this year, it was thought that stores would be returning immediately but the CEO said that wasn’t going to happen. Something changed his mind though (a desperate need for disco pants maybe?) because last week he announced at a press conference that the brand would be returning – but only online. There is a catch though. Unlike the old American Apparel – that prided itself on being made in America – the new products will be made along with Gildan Activewear’s in countries like Costa Rica, Honduras and areas of the Caribbean. If that’s a deal breaker you can always have a look at Charney’s new venture – Los Angeles Apparel – made entirely in LA. 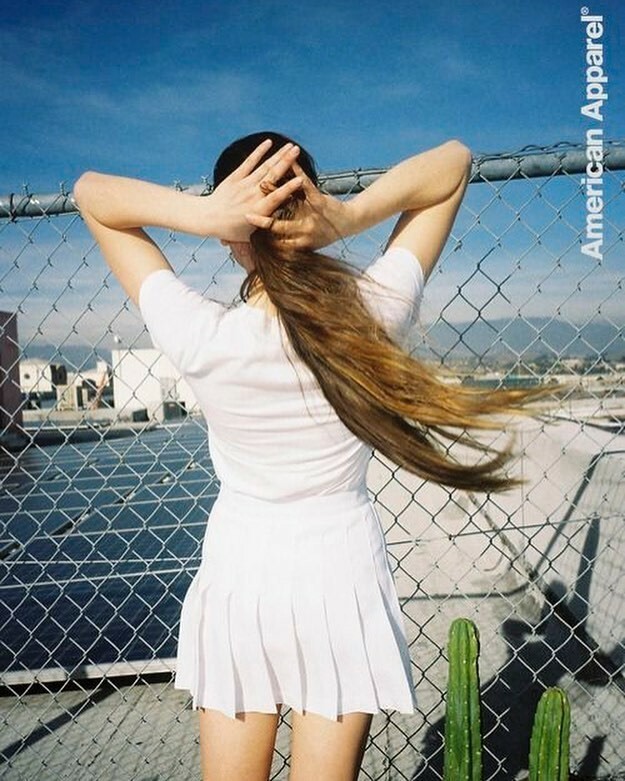 If you’re still a die-hard American Apparel fan, set your alarm for two weeks when the new site launches.